Discussion in 'Transformers News and Rumors' started by SilverOptimus, Mar 26, 2017. The more episodes the better I say. Based on that picture from ToyFair, I am assuming a completely new cartoon in it's own continuity. So my vote goes to a completely new series. 1.Rescue Bots will continue for many,many years to come. 2.This is the last FULL year of TR.It has same schedule as Transformers 5:The Last Knight. 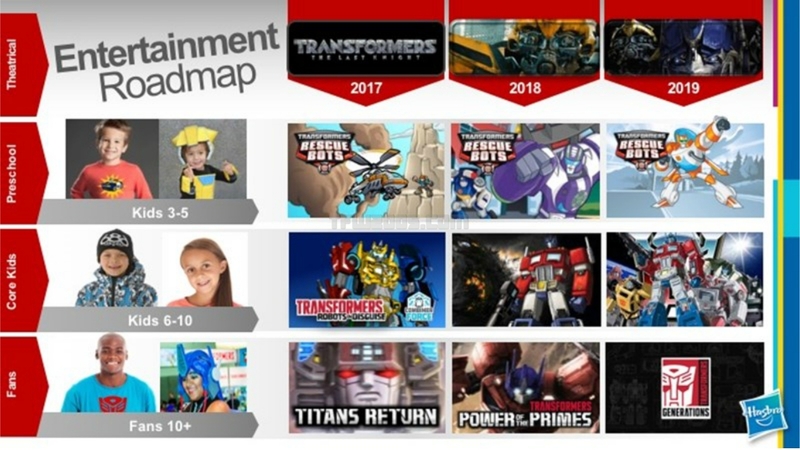 3.POTP will just be 1 year.Just 2018 along with Transformers 6:The Bumblebee Movie. 4.A new Generations Toyline Series will show up along with Transformers 7. 5.2018 will bring us a new cartoon. 6.This is the last FULL year of RID.2011-2017 Prime/RID Arc. 7.2019 will bring us another new cartoon. Hell, I'm still waiting for the season two DVD to come out. so the combiners in RID are going to be omnicombinational like the Stentarians from IDW, just not as much. 26 episodes? Nice. Been missing this series. Any hints about the release date or around what month exactly? I'm super happy that there'll be 26 episodes. New RID episodes for Teletoon starting next week? soooooooo, 2 combiner-ish guys, and possibly Megatron's brother? Yeah! At least three combiners are confirmed for this season. Looks like it will live up to its name way more than Beast Hunters did. Yeah! When is season 2 going on DVD? (In America?) I keep emailing ShoutFactory!.....no response. The showrunner said he has no idea about the DVD releases beyond S1. Showrunner? Who is that and how do I contact? Mr.Beechen,but his commentary and archives are gone.